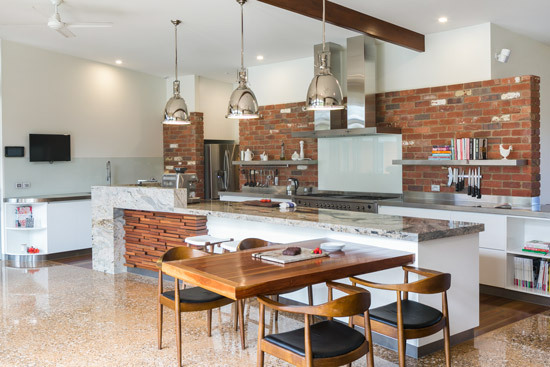 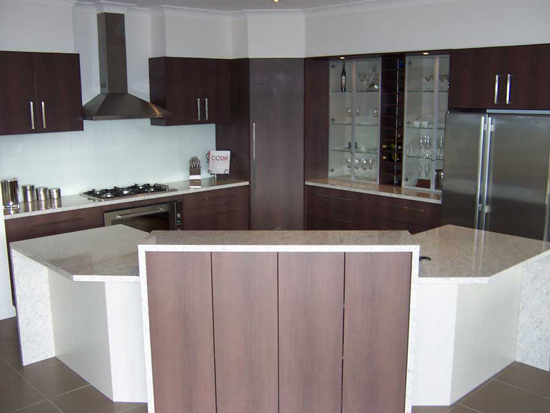 Essa Stone “Pashmina” benchtops with slab ends; Gloss vinyl doors in two complementary colours; a concealed butler’s pantry with above bench roller door access and glass splashback. 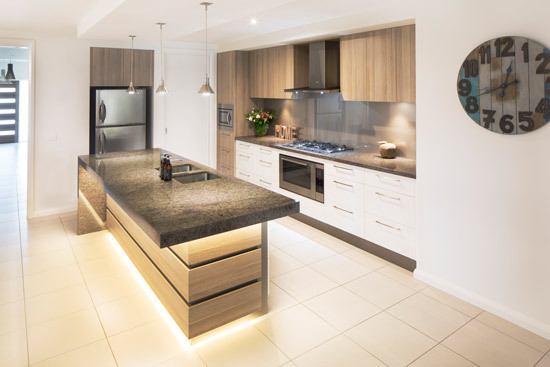 White Sheen & Refined Oak Cabinets, New Sandstorm Smartstone benchtops, Ragged Copper Laminated on the curved island bench, Aluminium frames with Scarlet glass inserts; a fully equipped butler's pantry; and all the latest hardware innovations. 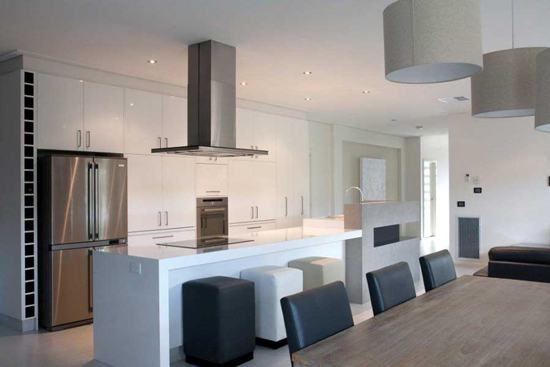 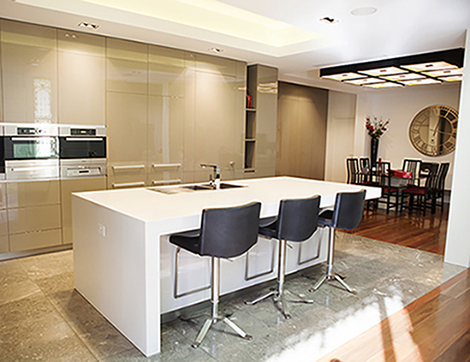 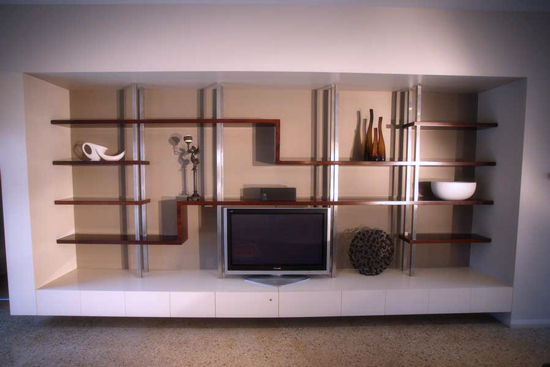 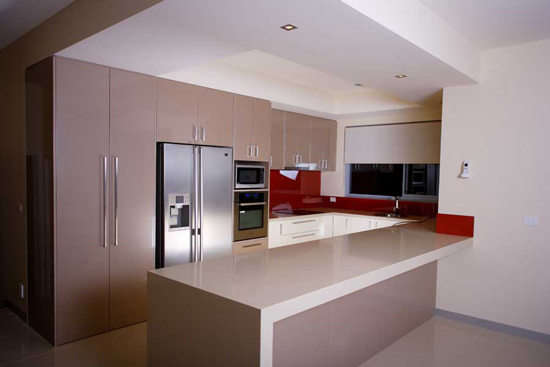 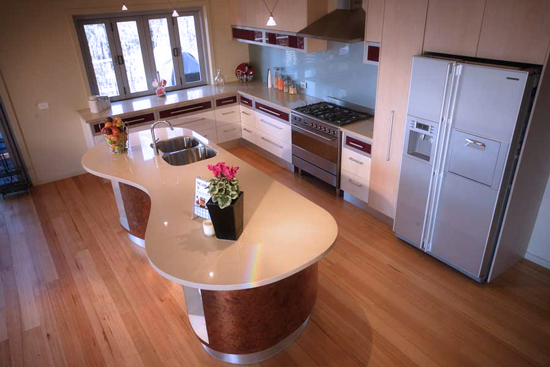 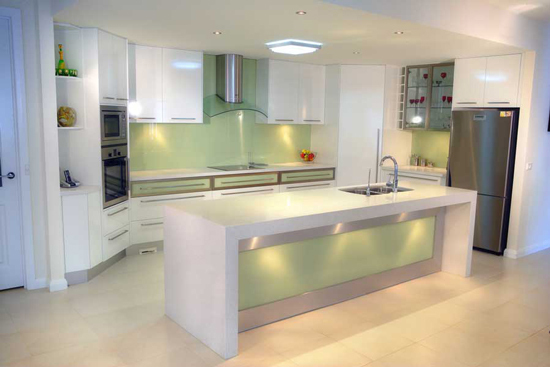 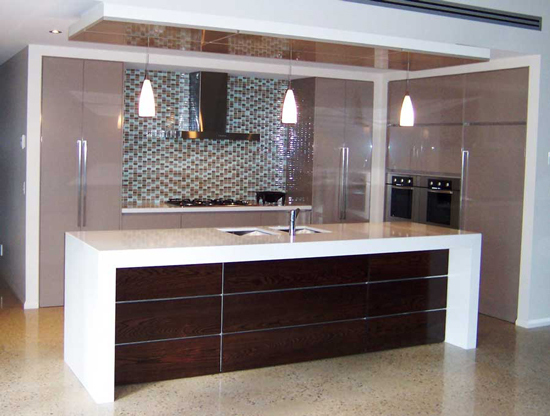 White sheen colourboard cabinetry, Smartstone benchtops, Brushed Aluminium highlights and glass feature panels. 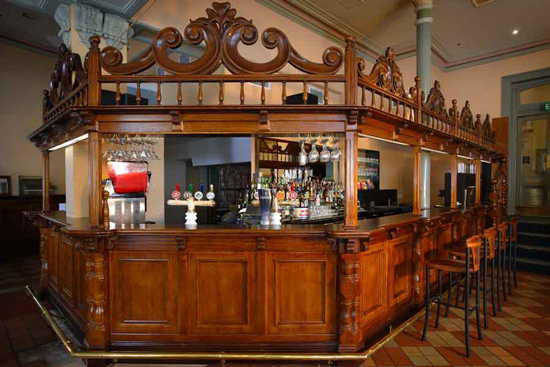 Solid Tasmanian Oak, turned, carved and finished to match surrounding timber, combined with brass rails with ornate brackets and wine glass racks.